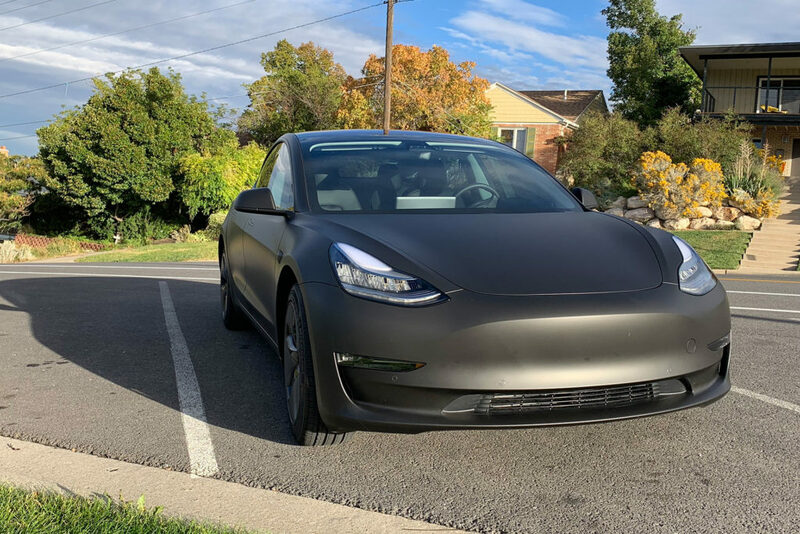 How does a matte black Tesla Model 3 look like? Wonder no more as we have discovered a couple of guys wrapping their beauties with the darkness, looks stunning on the car. 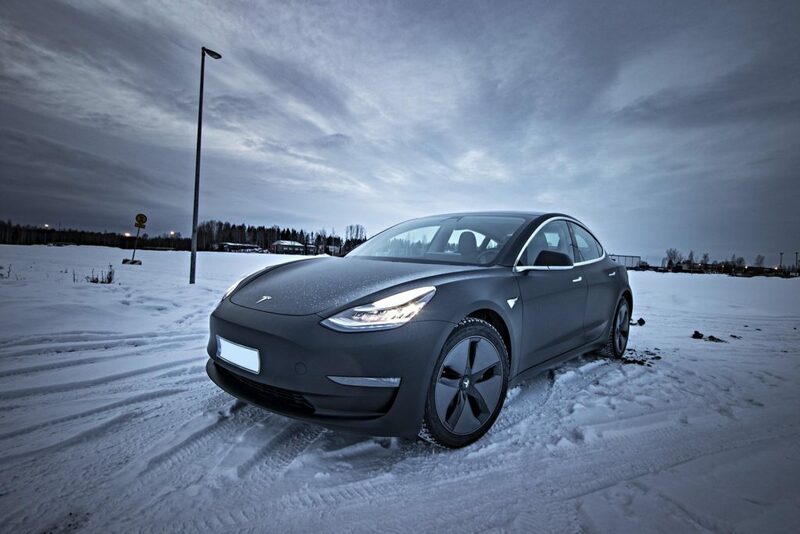 The Tesla Model 3 wrapped in matte black you see in the featured photo above is from a Reddit user ‘masse_‘ who took this beautiful picture in Hämeenlinna, Finland at the golden hour while the snow covers the ground and some snowflakes decorate the hood of the car, the angle is wicked (view HD version below). 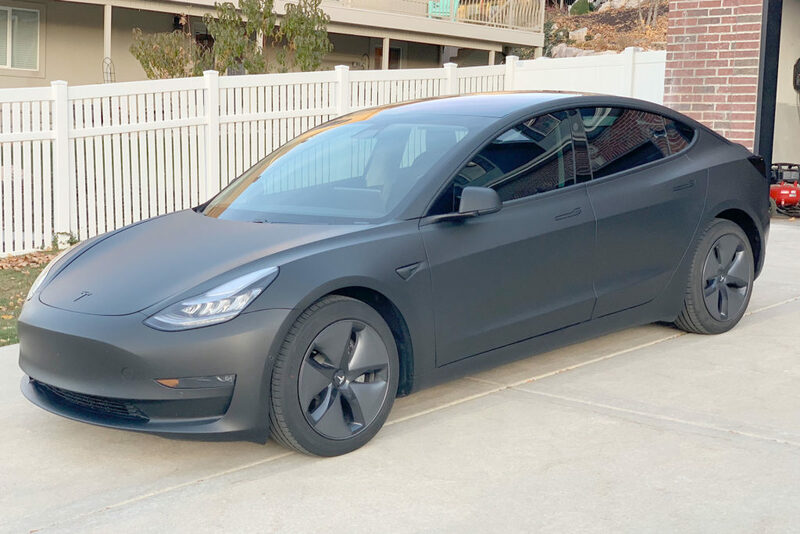 Another Redditor ‘Viperdriver69‘ also got his Tesla Model 3 wrapped in matte black last September and amount of attention he is getting for this is so cool, unlike the first car he got a chrome delete for window trims and also got the Tesla emblems wrapped matte black. Previously we have covered a Tesla Model 3 wrapped in ‘Satin Gray’ which cost the owner around $6,000, the emblems on this vehicle were wrapped in golden-color to give it a nice contrast. We also got ahold of a custom Tesla Model 3 wrapped in ‘Yellow’, this feature has all the details of the options, pricing, and exclusive pictures from the owner. 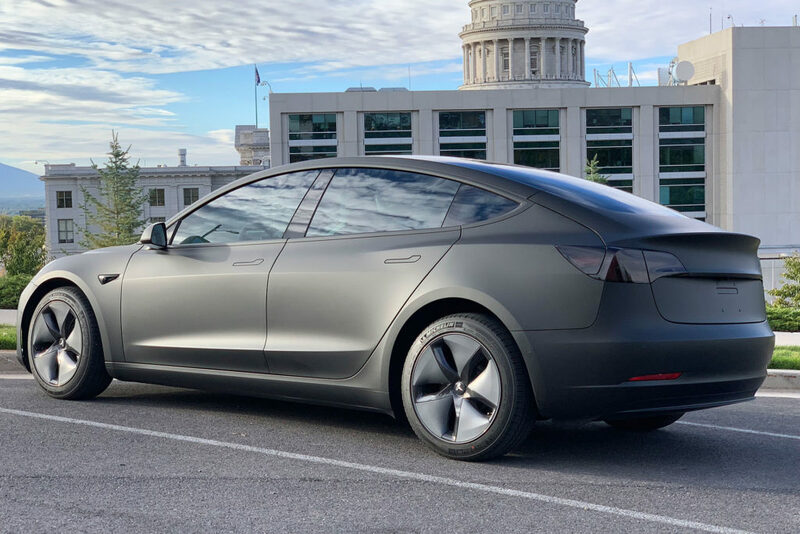 Tesla’s latest compact SUV, the Tesla Model Y has chrome deleted window trims as stock, chrome delete is getting popular among car enthusiasts and the Tesla community is not an exception here.